Human rights activists and eminent members of civil society have come together to raise deep concerns and unequivocally condemn the recent police action against protesters in Thoothukudi (Tuticorin), who had been demanding the closure of a plant owned by Sterlite Industries, a subsidiary of mining giant Vedanta Resources. Police violence has left several people dead and many more injured. In a public statement, citizens point out that not only was this tragedy totally avoidable, it appears that the police have even given hot pursuit and shot at women and others in fishing hamlets like Theresepuram. The sheer brutality of the police action reminds one of the manner in which the Jallikattu protests were dealt with, they say. 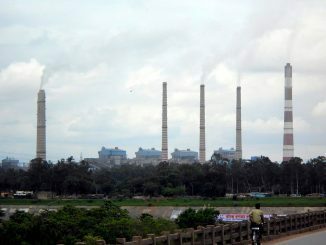 The strongly-worded statement goes on to say that the Government of Tamil Nadu, Union Ministry of Environment, Forests and Climate Change, the Tamil Nadu Pollution Control Board and the Thoothukudi District Administration are squarely responsible for allowing the situation to get to this unfortunate state by allowing Vedanta Sterlite to violate environmental and land use planning laws with impunity for over two decades. 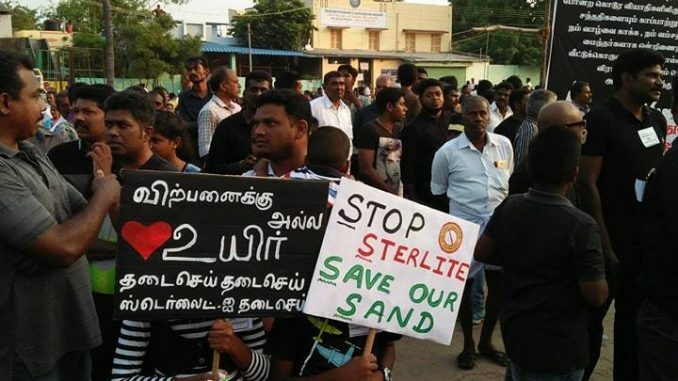 The people who died were just ordinary people who had been forced to take to the streets, and march to the Collectorate to demand action from an administration that has systematically and for decades failed to enforce the law on Sterlite. The District Collector, the chairperson and member secretary of the Tamil Nadu Pollution Control Board, the Secretaries holding the environment portfolios in the central and state governments, the ministers of environment at the state and centre, and the chief minister of Tamil Nadu need to account for their inaction in the face of overwhelming evidence of illegalities, environmental harm and damage to public health. The statement concludes with the reminder that for the second time in two months, more than a lakh residents of this coastal town have taken to the streets with one clear demand: immediate and complete shutdown of Sterlite. The state government and the district administration should also be blamed for failing to appreciate the depth of resentment among the people of Thoothukudi to Sterlite’s illegal and polluting operations and the betrayal by the State of its people. 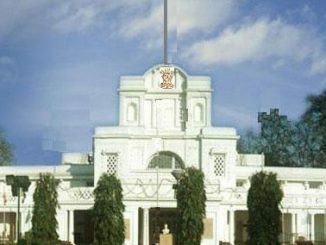 The signatories to the statement feel that the Government of Tamil Nadu has lost its moral right to govern, and should at the very least ensure that the senior ministers who failed to read the signs properly and take preventive action resign. But before anything else, the Government of Tamil Nadu should declare an end to the toxic terrorism unleashed by Sterlite and permanently close down the polluting unit. The statement has been signed by Henri Tiphagne, HRDA, Justice D Hariparanthaman (Retd. ), MG Devasahayam, IAS (Retd. ), Vetri Maaran, Filmmaker, Dr. V Vasanthi Devi, Former Vice-Chancellor, Manormanium Sundaranar University, G Sundarrajan, Poovulagin Nanbargal , Nityanand Jayaraman, Writer and Social Activist, Piyush Manush, Salem Citizen’s Forum, Divya Bharathi, Filmmaker , Sofia Ashraf, Writer and Rapper , Kavitha Muralidharan, Journalist, Dr. Rakhal Gaitonde, Public Health Researcher, Archanaa Seker, Writer and Activist, Satyarupa Shekhar, Social Activist, Bharat Nayak from The Logical Indian, Dharmesh Shah, Environmental Activist & Public Policy Researcher, K Saravanan, Fisherman, Aiswarya Rao, Public Health and Disability Rights Activist, Balaji Sampath, Activist and Educator, Sudipto Mondal, Journalist and many others. The environment ministry has made it mandatory for all new coal-based power plants in the country to comply with criteria on human health as part of environmental clearance procedures. Welcome as a first step, it may still need more for a full blown health impact assessment. Cheap, environment-friendly and easy, carpooling is slowly gaining in popularity, especially among office-goers, and could potentially reduce congestion on crowded city roads.